World Class is back in 3 new locations in London Luton, Barcelona and Malaga airports. 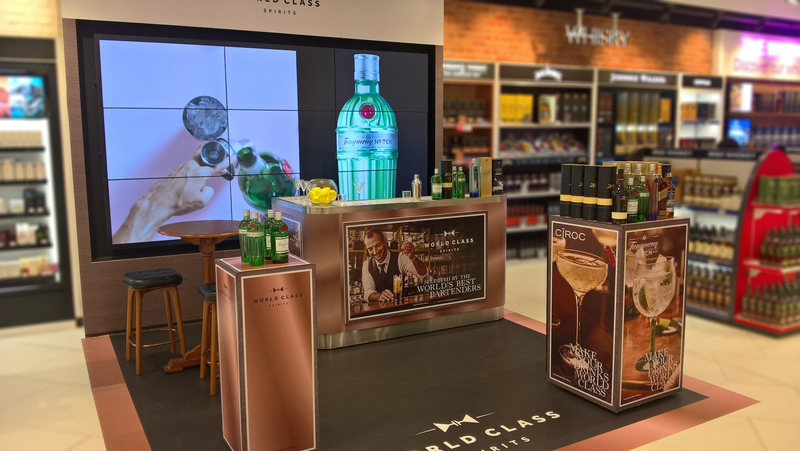 The World Class brand continues to reach out across Europe’s duty free locations bringing with it some of Diageo’s best known drinks brands with 3 new tasting bars in the different locations. These tasting bars aim to encourage travellers to taste some of Diageo’s finest brands at the different airports. The world-renowned World Class competition brings bartenders from all over the world together compete to be recognised as one of the best in the world at what they do.